At This Race in 2012 Brad Keselowski made a Statement. Brad Keselowski won the 2012 Geico 400 to show the #48 he had company. Brad led 76 of the 267 laps on way to Victory Lane for the 4th win of 2012. Brad won the last race in the Gen 5 car at Chicagoland. 8 4 88 Dale Earnhardt, Jr.
9 18 56 Martin Truex, Jr.
11 16 22 Sam Hornish, Jr. Above the drivers in Red are in the Chase this season. See where numerous drivers are in different homes. 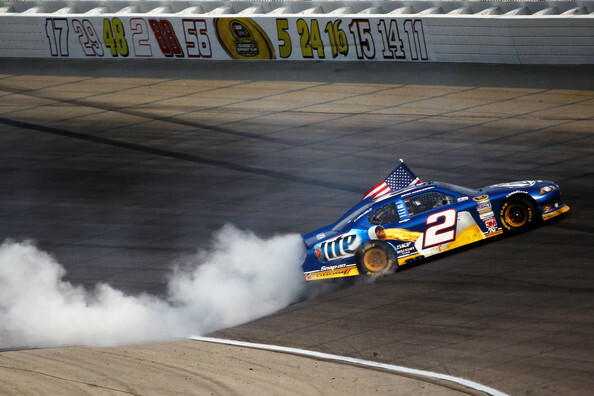 Will Brad Keselowski take note from 2012 and 2014 and win the first race of the chase?